I’m sitting in a labor and delivery room as I type – waiting to meet my newest niece! Little Evangeline Leigh will be born sometime today, and it seems like it will be sooner rather than later. Second deliveries go so much faster! 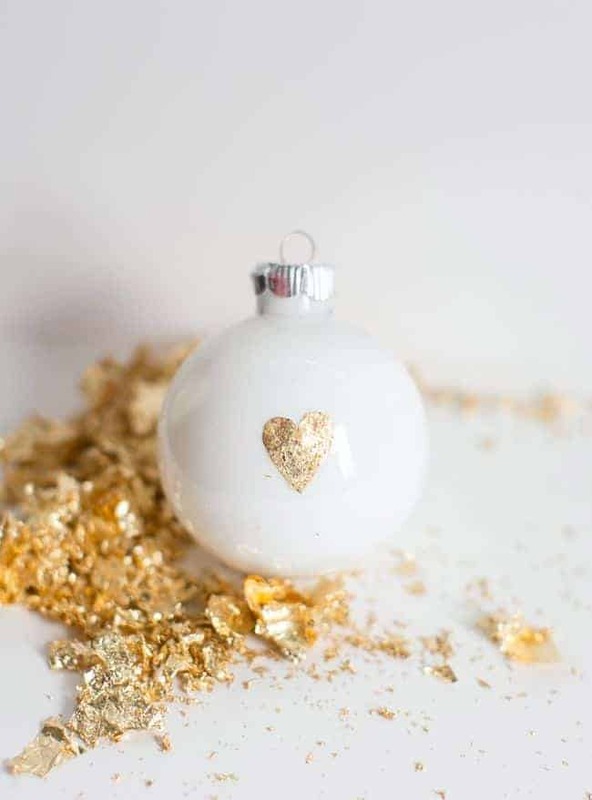 Inspired by this Madewell version, I made these pretty gold leaf DIY ornaments to commemorate her first Christmas. I love gold leaf. It’s so shiny and decadent. I was working on a gold leaf ornament tutorial for CraftTut (coming soon!) and couldn’t resist making this heart shape with double sided tape. You can buy a frosted ornament or paint the inside with white paint like I did. Then just apply the tape and dab on gold leaf with your finger or a paint brush. Too easy. In other news, have you noticed the changes going on here at HH over the past couple of weeks? We’ve added several awesome food and home contributors and tweaked the homepage design to make it easier to find the latest posts by category. Since we’re now posting more than once day I felt a weekly wrap up was called for. You don’t want to miss any of the good stuff, right? A gorgeous Thanksgiving centerpiece – sourced from the backyard! 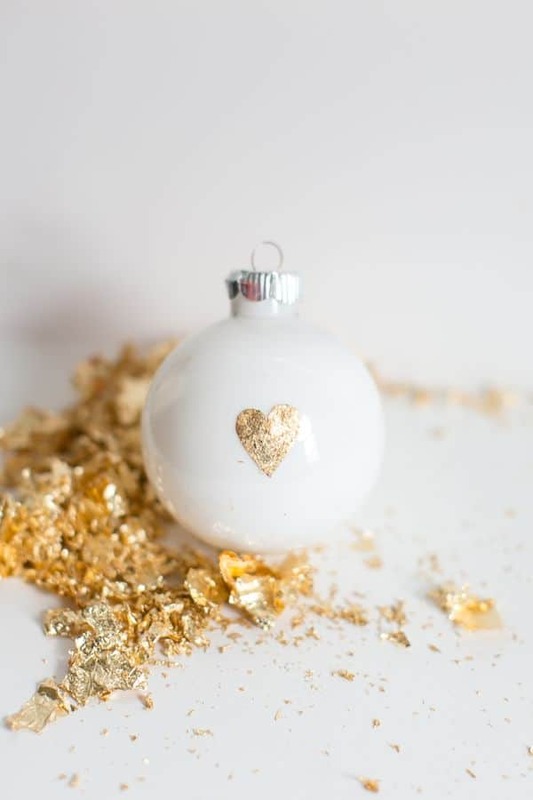 Where do you get gold leaf — I’ve never worked with it before, but this project is so lovely I want to give it a try. Evie will love her Christmas ornament, so pretty! Congrats on your new niece, how exciting!!! What kind of tape??? double-sided or does it come with the gold leaf kit? So cute!!! Great idea! TIA! yes, double sided tape! sorry for the confusion!